According to figures compiled by the American Stroke Association, about 795,000 people are victims of strokes each year. Strokes are caused by blockages or ruptures of the blood vessels that provide the brain with life-giving nutrients and oxygen. 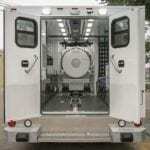 Recent studies have shown that implementing mobile stroke unit vehicles can improve the outcomes for patients. Here are some of the most important facts about strokes and how mobile units can reduce the impact of these dangerous health conditions for patients. Medical experts have found that the first few minutes after a stroke occurs can be critical to the survival and recovery of patients, who could lose as much as two million brain cells per minute during these events. 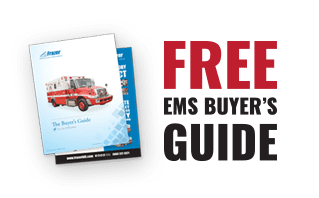 EMS vehicles that are equipped with lifesaving stroke units can help paramedics and first responders to identify the problem more quickly and to administer the right treatments and medications to improve outcomes for patients after a stroke. Mobile stroke treatment units are equipped with CT scanners and other testing equipment to diagnose the type and location of the stroke. Ischemic strokes are caused by blood clots and require a different treatment plan than hemorrhagic strokes, making CT scans an absolute necessity to ensure that patients receive the care they need during the critical first moments after their stroke. A qualified CT technologist is also required to administer these tests and to interpret the results on site. In many cases, a mobile stroke unit also carries a nurse and paramedics to provide support and medical attention to the stroke victim. A mobile stroke unit is also often equipped with advanced telemedicine equipment that allows doctors and neurologists in the hospital to examine patients remotely, ensuring the most accurate diagnosis and the best outcomes for patients on their way to the hospital after a stroke. By putting physicians directly in touch with paramedics, emergency personnel and the patient, telemedicine can have a significant impact on the chances of survival and a full recovery for these patients. If your agency is considering the addition of a mobile stroke unit to your fleet of emergency medical services vehicles, working with a trusted used ambulance dealer can often provide significant cost savings on the price of implementing these services. At Frazer, Ltd., we specialize in providing our clients with the most affordable and practical solutions for EMS vehicles, mobile stroke units and mobile clinics. Our team of expert technicians can also perform remounts to give new life to your EMS fleet. Call us today at 1-888-372-9371 to obtain a quote or to discuss your needs with us. We look forward to the opportunity to serve you.